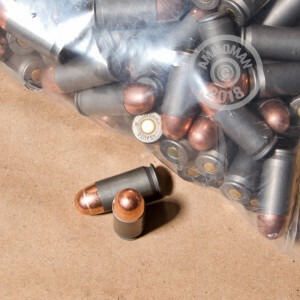 Check out our selection of .45 ACP ammo that's in-stock here! 45 ACP Mixed Lot Steel and Aluminum Cased Ammo With Ammocan! 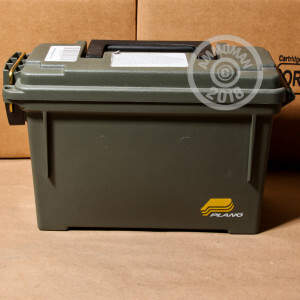 You'll receive 22 Pounds (Approximately 450 Rounds) of mixed lot, steel and aluminum cased 45 ACP Ammo, loose packed in a reusable 30 Cal Plano Ammocan. All lots will contain a unique mix of range and defense ammo, in a number of different bullet weights, from a variety of manufacturers. Please note, because this is loose-packed ammo, we cannot guarantee specific round counts but have provided a ballpark conservative estimate of what you can expect to receive with this product.